Irish celtic metal act return with their much awaited Sophomore album, 'Severance' which will receive a worldwide release via Cruz Del Sur Music on June 16th in the UK and as the follow up to their 2011 debut, ‘The Last Caress Of Light’ which was released via Metal Blade Records and received positive press the stakes are high!.. 'Songs Of Gods and Men' keeps up the momentum and has great tempos that keep you enthralled and with a mix of intricate riffs and in your face ones also! This again is one powerful track which has the makings of a battle song especially through a strong chorus; the final blow comes in the form of an slick impressive solo! 'The Serpent And The Shadow' opens on a superb badass intro featuring dual guitars and shows good gang vocals that add more emphasis and are placed methodically, not too mention a massive memorable chorus..
'Beyond The Grey Veil' is much more slower, sombre and melancholic than previously and with strong more isolated stripped back vocals to add congruence. Although very gloomy sounding there is plenty of variety to keep interest as its immersed with rich melodies and rhythms and pleasantly placed tempo changes! 'Trapped In the Hourglass' is very fast paced with brilliant low tone vocals and variation both vocally and instrumentally, all being powerful; this one is doomy and bleak but in the greatest sense! 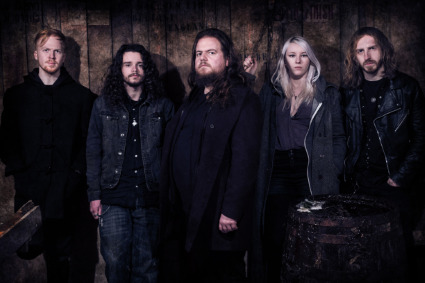 'The Scavenger' right of the bat opens with a strong catchy riff driving it which continues throughout and sees the return of loud bellowy vocals to aid the fast paced layered instruments. This is a high energy power metal track which must be heard! 'Thousand Screaming Souls' fittingly starts on an impressive opening note from Krum which dives into quick paced catchy instruments which will have you head banging in no time! The longest and final track 'Blood, Sand and Stone' starts off very sorrowful and docile, but breaks this quickly with melodic celtic thrash instruments and soaring hard hitting vocals whether be it full throttle power or softer emotive ones. They display superb musicianship and arrangement, and of course as you come to expect some skilled complex guitars almost as an extension to the vocals, which all results in the album ending as brilliantly as it began and leaves you hungry for more! Their 2011 debut album, 'The Last Caress Of Light’ was quite a debut and showcased their celtic metal in a very positive 'light' leaving much anticipation for their next offering, and with 'Severance' they have stuck to their roots but turned more to the darker heavier side with elements of doom, thrash and power metal, all the while maintaining their celtic sound, impressively shining through in the most creative of ways; this band have a lot of talent which oozes out in every track! The vocals and complex structured instruments are exceedingly well matched and both add to the depth, drama and emotion behind the songs. I honestly can't find a bad thing to say about this album, as they have created a epic formula and all I can say is I can't wait to hear more of it! 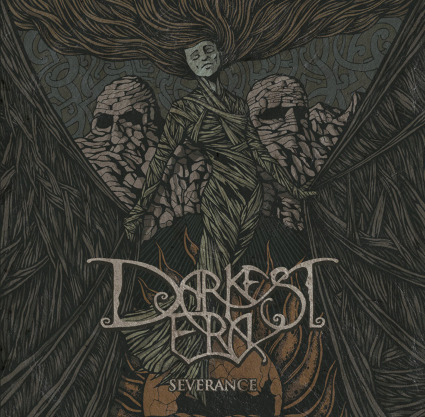 'Severance' will receive a worldwide release via Cruz Del Sur Music on June 16th in the UK.